Early 2012 I had the opportunity to visit Singapore (population 5.1 million). It was fascinating to note that the country’s economic rise really started after their independence in 1965. Today Singapore has very low poverty rate and is ranked one of the least corrupt countries in the world. Singaporeans can afford to and are also known for their generosity. Many of our monasteries in exile are supported by them. I recognize that Singapore has its flaws like any other country and there are much difference between Singaporeans and Tibetans. However, there are also many similarities including a strong interest in Buddhist values of compassion which I witnessed first-hand. My visit inspired me to explore the country’s success and more importantly the lessons we Tibetans can learn from our Singaporean friends. 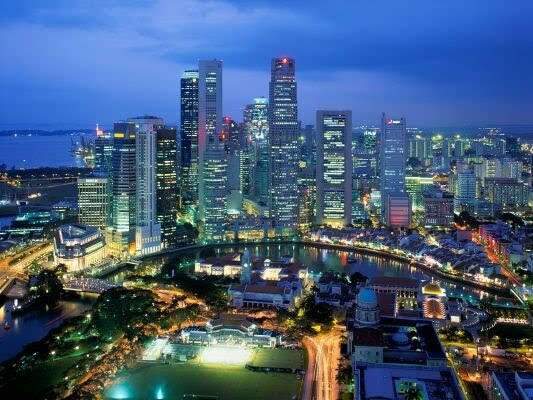 Obviously there are many reasons for Singapore’s economic success including location, education and leadership. However, one reason often quoted is their business friendly environment. This allows the Singaporeans to release their entrepreneurial spirit (driven by self interest) but within very strict laws. Since we Tibetans do not have our own country, obviously we cannot impose laws or force our community to live within such laws. Instead we can try to create an equivalent impact by placing a zero tolerance through community pressures towards illegal and unethical business practices in each respective country where we are located. While at the same time glorify successful entrepreneurs by recognition them as we do political activists and respected lamas. I would like to share one idea how I believe the entrepreneurial spirit can be released within our community. Non-profit organizations instead of providing straight grants to economic development projects in exile, especially Tibetans living in India, the organizations should incentivize Tibetans or social investors to invest in their own community by providing matching grants. This would help mitigate some of the business risks and catalyze investments creating a positive economic cycle. Assume a non-profit organization (for ease let us call this entity “A”) provides a matching grant of $50,000. This would make the total equity investment of $100,000. Assuming the enterprise borrows from local banks another $50,000, the total investment would become $150,000. In three years A’s grant of $150,000 this could lead to an overall direct investment in the exile community of $450,000. Every investment has multiplier effect (as it creates other enterprises) so the overall investment could be much higher. For example, if the initial investment was in a restaurant business this would also support the grocery store and create capital for future entrepreneurs. The competition to get the grants will further release the creative juice among current entrepreneurs and inspire others to consider investments within the community. Even those who may not win the grant could potentially go ahead and make investments on their own. Mistakes will be made on all sides. Perhaps the ventures may fail. But the lessons learned will be valuable for future entrepreneurs. In early December 2012, I had an opportunity to visit the Tibetan settlements of Byllakuppe and Mundgod. I had a day-long meeting with Mr. Pema Delek (Chairman of nyamdel.com), Mr. Tashi Wangdu (CEO of nyamdel.com) and few of their colleagues in Byllakuppe. The discussions were primarily to provide feedback on few of their projects. In addition, I had an opportunity to explore opportunities where The Tibet Fund can support them on few of their business ventures. In Mundgod, I also had an opportunity to meet Mr. Namgyal Tsering (CEO of the Mundgod Tibetan Coop.) and Mr. Karma Dhondup (CEO of Mundgod Tibetan Coop.). All the individuals I met were filled with a strong commitment to alleviate poverty within the community, very personable and excited to explore private sector development opportunities. For those Tibetans, especially living in the West, I would encourage you to reach out to organizations like nyamdel.com and the Tibetan Chamber of Commerce (www.tibetancc.org) to explore joint business opportunities. For non-profit development organizations, I would highly encourage you to help bridge the gap between the investment opportunities and potential investors through incentives. In Singapore, I caught up with a friend (Dorjee Sun) whose mother is a Tibetan living in Australia. Dorjee is a successful entrepreneur and is using his experience to mitigate environmental problems. Time magazine profiled him as one of the Heroes of the Environment. I asked Dorjee why he moved to Singapore from Australia. His answer was simple. The Singaporean government called him and gave him a substantial amount of money to move his company to Singapore. On the personal front, Dorjee had no emotional connection to Singapore. Similarly, I believe matching grant incentives will excite even those within our community who are not necessarily thinking of Tibet to consider putting money and expertise within the community. Without capital and talent investments in our community, there is no chance that our community will be free of poverty. Tsewang Namgyal serves on the Board of The Tibet Fund. He was recently profiled on Forbes. (http://www.forbes.com/sites/robertolsen/2012/09/21/tibet-needs-entrepreneurs-like-the-tatas-and-rockefellers/).